In the stage of Pure Consciousness, we may ask the same question we asked in the Void stage. “When everything is gone, what remains?” In the Void stage we first answered, “Nothing.” until we slowly realized what is always here. When we realized that Consciousness is always here and without it we could not be aware of the Void stage, we realized something else, something profound, something earth changing, something that completely shatters the personal self, all stories, all perceptions, everything. Consciousness is always here. And even more mind-blowing, nothing else is. Only Consciousness exists. Call it Consciousness, Awareness, the Absolute, Brahman, God, Source, the Creator or whatever name you choose. Nothing exists but This. And since nothing can exist but This, you are This. Everything you see, taste, feel, touch, smell, think or feel is only This. And the one seeing, tasting, feeling, touching, smelling, thinking and feeling, is only This. There is absolutely in all of existence nothing but This. What an enormously profound discovery. Mentally, you cannot even approach this. How could you? Why would you? Your thoughts are created in duality, the belief in separation. Your thoughts are expressions of duality. The realization of This shatters all thoughts. This direct realization comes from someplace else. It is beyond thoughts and beyond feelings. It is beyond the thinker, the feeler and the experiencer. And yet it is truly and Absolutely what you are. When absolutely everything else is gone, This is here, shinning in its absolutely glorious radiance. And you are It. Thoughts cannot even imagine this. They cannot even come close. Don’t even try. You will only create an illusion out of Ultimate Truth. When this realization becomes real, when you have sunk deeply into it, look around. Look at your hand. It is God, beautiful beyond any concept of beauty. Pick up your favorite book of nature photographs or look at a beautiful photograph of a sunset or mountain on the Internet. There is only God, only Brahman, only the Absolute, only Consciousness Itself. And the Absolute is the only thing looking. Nowhere in all existence is there anything but This. Look at your best friend, your wife or a stranger on the street. It’s all God. There is nothing else. How amazing it is to finally realize this. You don’t have to say anything. I wouldn’t if I were you. Few people can understand what you have just experienced. Realize that even this is just another story. But this is a very high level story. This story destroys all other stories. If everything is God, what else can you say about a tree, a person, the world, yourself? All other stories disappear in the radiance of this transforming story. Living in realization of this story, you live in the Bliss of the Absolute. Eventually, you let go of even this last story too, and live without any stories at all. You are free, absolutely free. Everything is simply what it is without a story to hide its miraculous radiance. By this time, meditation has changed to Samadhi. It is not something you do. It’s completely effortless. You simply fall into it, like falling backwards into infinite space. You are absorbed in the Absolute. Like pouring a cup of water into the infinite ocean, the water is completely absorbed in the ocean and no longer has any identity separate from the ocean Itself. Because of the enormous Bliss and Freedom, you find yourself spending more and more time here. Every spare moment, you fall into Samadhi. When you and the world have disappeared, what else can you do? What else makes any sense? The absolute Bliss of Samadhi pulls you into it like gravity pulls your body when you are falling. You do not try to enter Samadhi, you simply fall into it. It exerts its own powerful and irresistible force. You simply don’t resist it. You can’t resist it. You might think of Samadhi as complete absorption in the Divine or God. You don’t realize only yourself as God and separate from anything else, everything that is not God. Everything is God. There is simply nothing that is not God. God is all there is. God is all that exists. In Samadhi, the world and self as we have known them disappear. This is not so different from what happens in the Void. But here the Something Else is not Emptiness or Void. It is impossible to describe or create a thought around. It is All That Exists and everything that exists is only It. Any word you use to describe it cannot be It. All words disappear Here. All thoughts disappear Here. The world and the self disappear Here. All that remains is this Infinite Absolute Self. In the traditional literature, three levels of Samadhi are described. In the first level of Samadhi, the meditator has not yet completely lost the distinction between the experiencer, the experience and what is experienced. The first level still involves some effort. But nothing like what is experienced when you begin meditating. If any thoughts arise, simply inquire what is it that is aware of that thought. In this way you may keep the attention focused on awareness Itself. Whatever arises in the mind, ignore it and return to what is aware of the thought or experience. You are no longer interested in the object of meditation, but the subject and what is beyond the subject, what is aware of the subject. In this stage of meditation, you will experience moments, minutes and even hours when all duality, both you and the world, disappear entirely. This is accompanied by great bliss. But then, eventually, you will return to your more ordinary consciousness. Savikalpa Samadhi is often experienced in the Pure Being / Bliss state of consciousness. As you experience this freedom and bliss more frequently and for longer periods of time, you will naturally move to a deeper level of Samadhi called Nirvikalpa Samadhi. Here all thoughts have ceased and you are fully absorbed in the Absolute. There is no longer any distinction between experiencer, experience and what is experienced. Duality has ended. Absorption is complete and nothing disturbs it or distracts from it. Immersed in an ocean of Bliss, all internal objects (thoughts) and external objects (the world) have disappeared. This is an effortless state of meditation. It is like gravity to a falling body. You are pulled into it by an irresistible force. Nirvikalpa Samadhi is the typical meditation state of Pure Consciousness / Oneness. It is life without a story. In the beginning, coming out of this depth of meditation can be a bit challenging. First off, there is no desire to. Why would you want to leave an oceanic state of bliss? It is like in Near Death experiences when the Light is entered. Nobody wants to return. But something of the world usually pulls you back. Then there is the challenge of re-orienting and integrating. What you have experienced is so totally unlike anything you have ever experienced before. The world seems completely unreal. Everything is both God and yet different appearances appear at the same time. But those appearances seem totally unreal, as if you are looking at a dream knowing it is a dream. It takes some time to settle into this experience. Your ability to function in the world may take a little getting used to as well. It is totally clear at this point that all that exists is God / Brahman / Consciousness. But what to make of these separate appearances you are now seeing again? Just as you fell into this experience without any effort on your part, the integration also happens naturally without any effort on your part. Relax. Don’t worry about it. Give it time to integrate. Don’t try to make sense of it. It’s all happening perfectly. Ramana Maharshi refers to the complete absorption of Nirvikalpa Samadhi as being a temporary state of absorption. He compares it to a bucket lowered into a well. While the bucket is submerged in the water absorption is complete. But there is still a rope attached to the bucket so it can be pulled out. With Sahaja Samadhi that rope is gone. There is always complete absorption. And yet it is still possible to function in a physical and mental world even though the experience is completely different from what most people experience. The movement from one level of Samadhi to the next comes simply from spending as much time as possible immersed in these states of absorption. It is a natural transition. Don’t make a big deal about these states of absorption. But allow the realizations that arise to completely permeate and transform your life and the way you see the world. In previous stages of Consciousness, you may have heard and experienced that everything is an expression of God, sort of like the rays of the sun. There is only one sun, but there are infinite rays. In this stage, you experience that everything IS God. There are no rays. There are no expressions of God separate from God. It is all God. A part of God does not exist inside every person. There is no person. 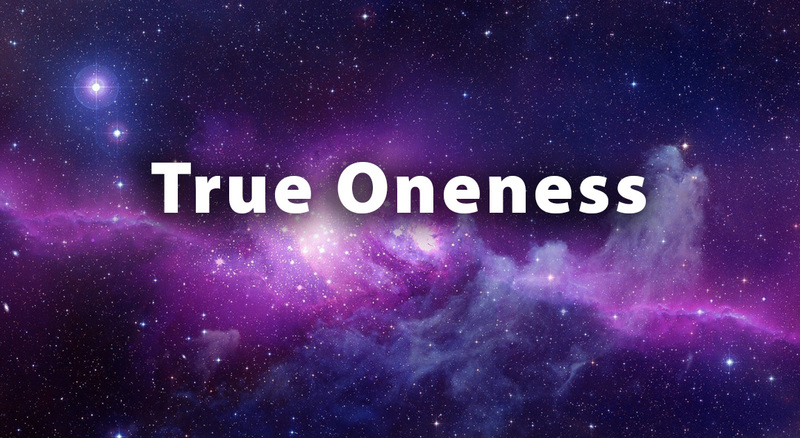 There is ONLY God, only the Absolute, only Infinite Consciousness Itself. So this is a very different way to see the world and the one seeing the world. Everything is God. In Sahaja Samadhi you integrate your experience and realization in Nirvikalpa Samadhi that everything is God and that the Absolute is all that exists. You bring this experience back into the world of duality, of form and name. You still see a beautiful rainbow in the sky after an afternoon rain-shower. But now the appearance of that rainbow, beautiful as it is, is far less important than the fact that you are seeing God. And that makes it feel infinitely more beautiful. The rain, the clouds, the mountain, the traffic, a piece of dog poop on the street and the one seeing all this is equally as beautiful. You can no longer say one thing is more beautiful or less beautiful than another. It’s all God. It’s all beautiful. It’s all more infinitely beautiful than anything you could have ever imagined before this realization. You’ve come Home. You’ve returned to the Source you never could have left because that Source is you. The you you felt was you up to this point is still here. But it is just a dream, an illusion, an appearance. It holds no interest for you other than how it can express this Infinite Absolute Consciousness in a way others can understand. You now live a life of complete service. The idea of individual or personal enlightenment vanishes completely as soon as you realized beyond any doubt it is all God. Every person you see is just God, usually not yet realizing Itself. There can be no individual, personal enlightenment because there is no individual person to be enlightened. There isn’t even enlightenment. There is just God. That’s all. That’s It. You walk gently on this earth because it is all God. The earth, the sidewalk, the tiny ants scurrying around and the one walking are all just God. None are better or worse, more important or less important than any other. It’s just God. It’s all God. And it’s a continuous miracle. This is how you integrate this profound realization, God-Realization, Self-Realization. You are God walking. You are God seeing. And all God sees is God. You may go about your life exactly as you had before this profound realization. Nothing on the outside may appear to change. Even your closest friends may only notice that you seem to always be happy and nothing bothers you. Or your life may change a great deal. If that is true, then these changes probably already began in earlier stages. Some people end up sitting in a cave for ten years. For others there may be no external way to see any difference, other than that they always seem to be smiling. Whatever happens will happen. It’s no longer your business. There is no longer a you to have a business. There is just God. Of all the spiritual books one could read, the Ribhu Gita is probably the most useful at this stage. We have already moved far beyond words and stories, no matter how profound they may appear. Now we are immersed and absorbed in Truth Itself. The need for words, guidance and instruction are over. The Absolute has taken over. It is the only guidance you will need. And it is none other than your True Infinite Self. The Ribhu Gita is a continuous reminder of what you are (Brahman, God, the Absolute Itself) and what you are not (everything else). It is now your direct experience of life. The Ribhu Gita simply and continuously reinforces this realization. It is very useful to read the verses in the Ribhu Gita regularly as you enter into this state of realization, as Ramana Maharshi recommended. It may be the only thing you will experience as True. This classic by Nisgaradatta, you will now understand completely and effortlessly where before some of it may seem confusing, mysterious or mystical. Now it will simply be your day to day experience of life. All spiritual books and everything else will be understood from here. But you will have little interest in anything that does not reflect this great Truth. Where, before this stage, you may have still experienced that you are in your body, you now experience that your body is in you. All bodies and everything that exists is in you. The feeling is that your heart is infinitely large, large enough to contain universes, to contain All That Exists. You take care of and love your body, not because you identify it as you, but because it is one of the infinite things that exist in you. And whatever exists in you, which is everything, you can’t help but love because none of it can be separate from you. You love your body simply because it exists. It doesn’t matter whether you previously considered it beautiful, handsome, ugly, healthy or unhealthy (Those were just stories. ), now you love it completely simply because it is here, in you, in the infinite space of you. You realize that absolutely everything you once perceived as being outside of you were simply stories, thought perceptions. You’ve seen how when the story changes, the external world seems to immediately change as well. Now you know why. And when you let ALL those stories go, the world looks entirely different. You can no longer say you are separate from anything. There is just this enormous, all-embracing love. If you don’t experience this, you can be pretty sure a story has arisen, even on the subconscious level, and you believe it. You are now a great and profound blessing on this earth. Whatever you do, you will be infusing the earth and all human consciousness with this Divine blessing. Getting used to living this way in a world that doesn’t understand it will take some time. But you’re in bliss, so there’s nothing to worry about. You now see the world completely differently than you did before, even in the previous higher states of consciousness. This is very new. Be careful about who you share this realization with. You don’t want to run up to everyone you meet and tell them, “It’s only God. You’re only God. That’s all there is.” Most of the world is not ready for this yet. Unless your awakening to this state of conscious was very rapid, you may already be a spiritual teacher. If so, you know the students who are ready for you to share this with. Even people who talk or write about these things, but have not yet directly experienced it as you have, may feel a little uncomfortable with your sharing from this direct experience. Pay attention. Your intuition has greatly expanded by now. Follow this guidance and you will know who to share it with and when. Other than that, simply continue deepening in Samadhi, which you are no doubt already doing. You are in good hands. You are in God hands. You already know this now. Continue letting God work through you. Continue trusting this process. You may and probably will have some changes in your life, new friends, new job, new location. Just let your inner guidance lead you and trust it completely. By now you have probably seen that it is always completely for your benefit and has a wisdom far beyond your limited human mind. You are free from a thought world and a thought created self. Congratulations. This is wonderful. Even reading these words you realize it is all God. These words, the writer, the reader, all God, all the Absolute, Infinite Self. There is an ancient Zen teaching which now you understand completely. Previous to your realization, it may have seemed mysterious or incomprehensible. A student comes to the Zen master and asks, “Master, please show me Buddha.” The Master grants his request. He says simply, “The cypress tree in the courtyard.” Now you understand. Everything is Buddha. Everything is God. Everything is your True Self. Mentally understanding this cannot help you very much. But now you realize it. Now you know. You are the cypress tree in the courtyard, the student and the Zen master. There is nothing you are not. Now go save the world. Of course you realize you have already done so. Your awakening is the awakening of the world. How could it not be?